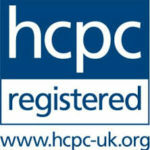 Qualified HCPC registered podiatrist since 2001, I aim for all my clients to feel like they are walking on air when they leave my well equipped treatment room. I specialise in treating a wide variety of foot conditions including corns, calluses, verrucae, fungal nails, thickened nails, ingrown toenails (with local anaesthetic if required), skin conditions and biomechanical problems to name but a few. I pride myself in providing high quality foot care at affordable prices and look forward to welcoming you in my practice. 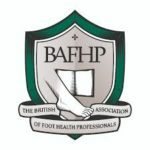 Qualified Foot Health Practitioner providing high quality foot assessments and treatment in the comfort of your own home. Appointments with me are also available every Friday in the clinic if preferred. Services provided include full foot assessments, including those specifically for diabetic patients. Treatments are fully tailored to your own individual requirements. Nails, corns and calluses are gently treated leaving you feeling relaxed, comfortable and confident that you have been cared for to the highest possible standards.